The Bar Harbor Music Festival brings high-quality music to Bar Harbor, Maine. This annual music festival is going stronger than ever. Concerts are held at various locations including; the amazing art-deco Criterion Theatre in downtown Bar Harbor also at Acadia National Park – Blackwoods Campground Amphitheatre. “A trip the Bar Harbor Music Festival is never disappointing” – Music Critic Harty Preble. 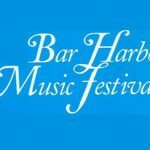 Please share your Bar Harbor Music Festival reviews and comments.